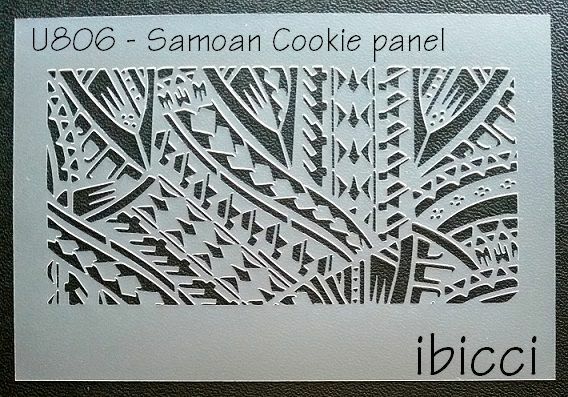 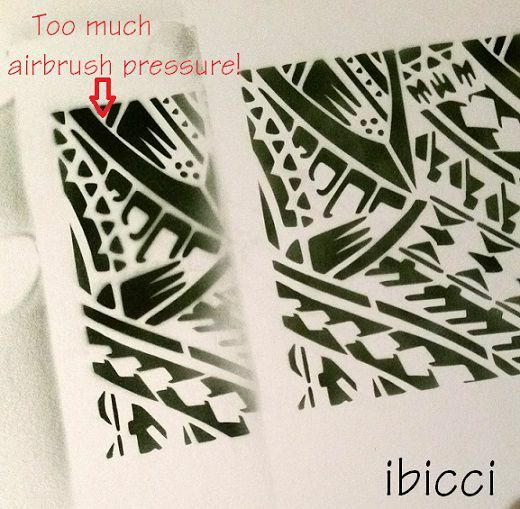 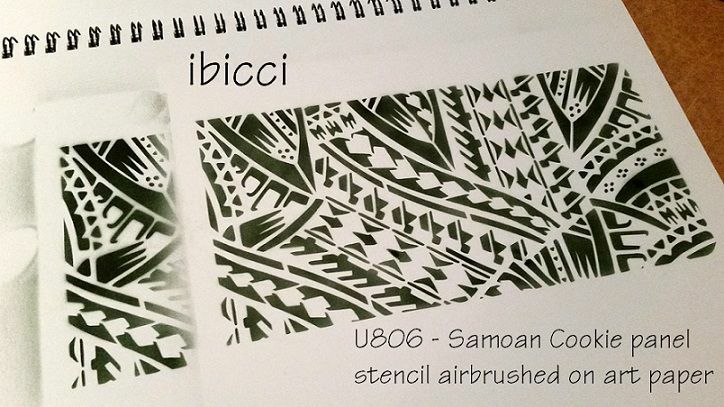 This Samoan Cookie landscape stencil is the same as the Samoan Cake panel stencil. 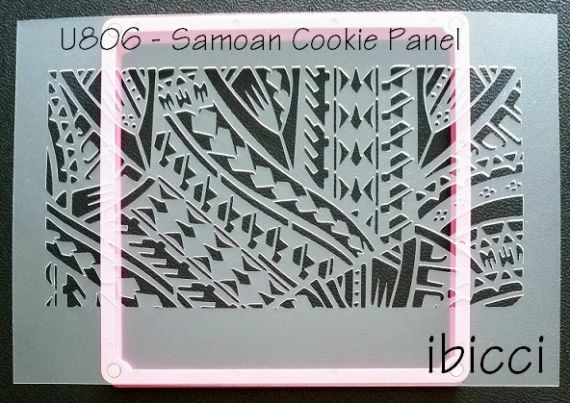 At this time I have baked extra cookies and hope to have photos soon showing how they look stencilled. Design Size : 90mm x 179.2mm - 3.5" x 7"